Thus far the Bruins have done everything anyone could have asked of them. They dispatched their most hated rival in thrilling fashion, exorcised the demons against the Flyers, and have gotten to the Conference Finals for the first time since 1992. They’re closer than they have been in nearly 20 years but face perhaps their toughest test in the Lightning. The two teams have had strikingly similar postseasons to this point. Both had seven game wars in the first round before sweeping away the competition in the second round, earning long layoffs. Both teams have had terrific goaltending push them through the first two rounds but other than that the teams are very different. The offensive-minded Bolts have stars up front who must carry the load while the Bruins need role players to come up big. The Bruins defense is a polished unit who can but rarely jump into the rush. The Lightning use their defense as much as possible in the offense and often push the bounds of defensive responsibility. The Bolts have the most impressive special teams in the playoffs while the Bruins are far and away the worst. Despite all these things it still looks like it’ll be a tight series, because well, it’s the Eastern Conference Finals. Let me preface this by saying that I think that Bergeron will be back in the lineup much sooner than later, like Games 2-3 as a possible return. 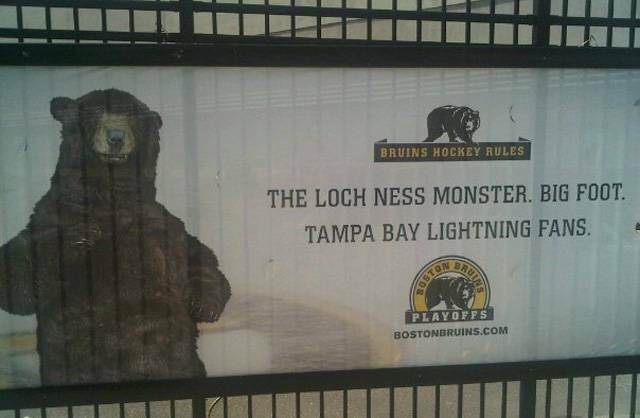 The Bruins pose a better overall threat to the Lightning. They’ve faced a depleted Penguins team and a choking Capitals team to get here. Their goalie is playing over his head and is due for some fatigue. For the first time the Bruins don’t have an overriding motivator in their opponent (other than the Cup). This series will be won by the team who’s ready to play after a long layoff and I think that team is the Bruins. The Bruins home ice advantage actually means something this series and the team wins ugly but wins. The Pick: Bruins in 6.